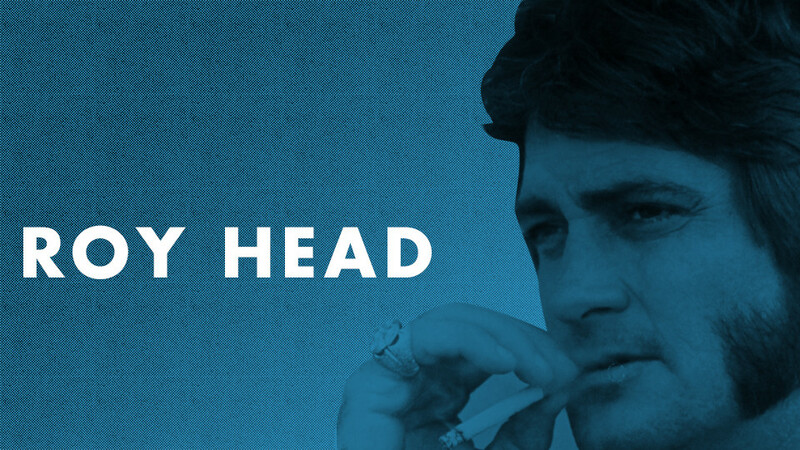 Texas soul man Roy Head epitomizes Gulf Coast cool like no one else. Originally discovered by San Antonio's T 'N' T (short for Tanner 'N' Texas) Records wailin' out an R&B-laced style of rockabilly with his sizzling band the Traits, Head cut the great "One More Time" in '59 and followed it up with "Live It Up" and "My Baby's Fine." After a brief sojourn to Renner Records and a heap of stage work that boiled his style down to leanest of the lean and the rawest of the raw, he busted out with a potent double-sider that supercharged Big Joe Turner's "Teenage Letter" and backed it with the soul-searing ballad "Pain." Then, in 1965 he crashed the gates, take-no-prisoners style with "Treat Her Right," which rose to number two on the Billboard Pop charts. If you're wondering why they never play this song on Oldies radio stations, just dig its wrecking-crew power! Roy continued in this vein, cracking the top 100 with "Just A Little Bit" and "Get Back Part 1," and laying down other material that was just too wild for any chart, including the fabulous "You're (Almost) Tough." In 1970 he cut his swan song LP for Dunhill, The Same People You Meet Going Up You Meet Coming Down. Produced by Huey P. Meaux, one of the world's great mysteries is just why this album—replete with great "break beats"—isn't coveted by the funk/ hip-hop DJ crowd. But don't ponder, purchase!! It still sells for under ten bucks and is a true cornerstone in any Gulf Coast music collection. For one thing, the backing musicians are completely out of hand: funky drums, out-of-control bass lines, over-the-top fuzz guitars, screeching Ornette-Coleman style saxophone and trumpet and above it all, Roy testifying with every ounce of sweat and soul his body, mind and spirit can muster. Lord, have mercy!!! There's just no arguing with the best. The song selection, alas, couldn't be better. T.K. Hulin's swamp pop classic "I'm Not A Fool Anymore," Jimmy Hughes' "Neighbor, Neighbor," Jackie Payne's "Go-Go Train" (masquerading as "Soul Train") and the BEST version of the Sir Douglas Quintet's "She's About A Mover" ever recorded. Yes, perhaps even better than the original, hardly a fair comparison because Roy strips the proceedings down to their rawest funkified core. And speaking of Sir Doug, Head even fronted the Texas Tornadoes for a tour when Freddy Fender couldn't make the gig, and if he was any more intense back in the '60s then he was a few years ago, well, he certainly hasn't lived up to the title of one of the songs from that aforementioned album, "Don't Want To Make It Too Funky." You won't be able to take your eyes (or ears) off Head when he's onstage, but just watch out: this man's antics with a microphone are akin to an electrified boomerang. At the 2nd Stomp, imagine the fireworks when Head fronted a powerhouse band with 60's LA. RnB vets Lil' Buck and the Topcats for a soul set- and then did a garage set with Deke Dickerson and Eccofonics. Good times.